Bette has launched a new anti-slip option for its enamelled steel shower floors which provides a high level of slip resistance and safety but is barely visible, so does not detract from the elegant enamelled steel surface. New BetteAntislip Pro meets a high safety standard of R10 and is created using a special enamel layer which has a rough surface that is virtually undetectable to the touch or the eye. It increases showering safety over the entire surface, while being very comfortable to walk on and almost invisible. 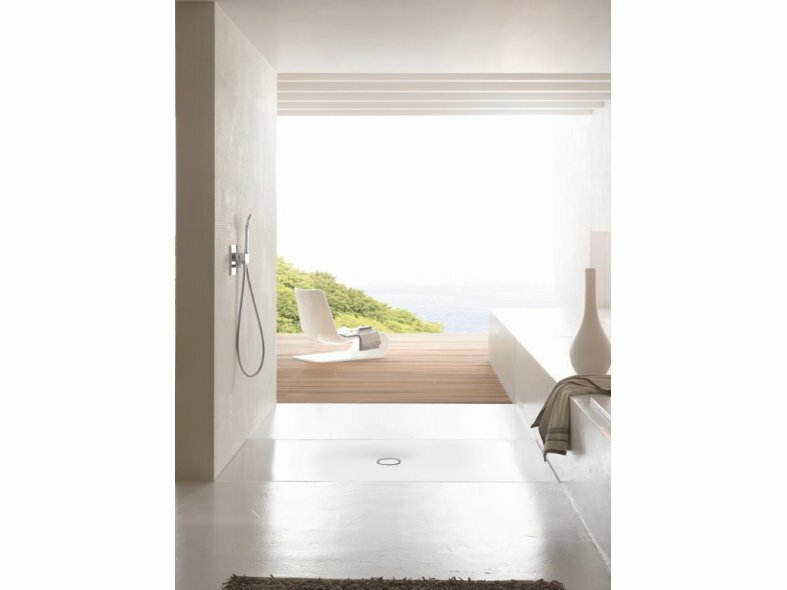 The new BetteAntislip Pro can be applied to Bette's glossy white shower areas, and also to most of the matt shades in the BetteFloor Colour World, which are chosen by over 40% of Bette customers for their shower floors. The new surface is extremely durable, easy to clean and hygienic. Dirt and bacteria can hardly take hold on the non-porous surface, and it withstands even aggressive cleaning agents. The surface will remain in its original state, even after years of use. BetteAntislip Pro is the ideal solution for high quality private bathrooms and all other bathrooms demanding safety conforming to standards, high hygiene levels, and low subsequent costs, such as hotels, nursing homes, retirement homes and hospitals. Comments Bette's director of marketing, Sven Rensinghoff: "When relaxing under a shower, nobody wants to be concerned by the thought that they could slip and hurt themselves. It is important we eliminate this underlying danger and provide a safe showering experience. The combination of steel and enamel is extremely strong, scratch resistant, impact resistant, easy-care, and permanently retains its shape. Our BetteAntislip Pro is now offered as an additional finishing option that raises slip resistance and standing safety to a high aesthetic level."